As I’ve mentioned here before, I’m a big Yoga With Adriene fan. Since moving to the UK in 2013, I struggled to find a studio that felt like home within a convenient proximity to my home or work, so my practice more or less fell by the wayside. I also struggled with fitting in, in a country which I had always assumed would be quite similar to my own, but was far different than I could have ever anticipated, in ways I had not previously considered. I was overwhelmed, under-meditated, and although I was meeting a lot of people, never quite felt like I was making any real connections. I felt rather alone for a long time, like an outsider or an alien from outer space; I sometimes still do, if I’m honest. 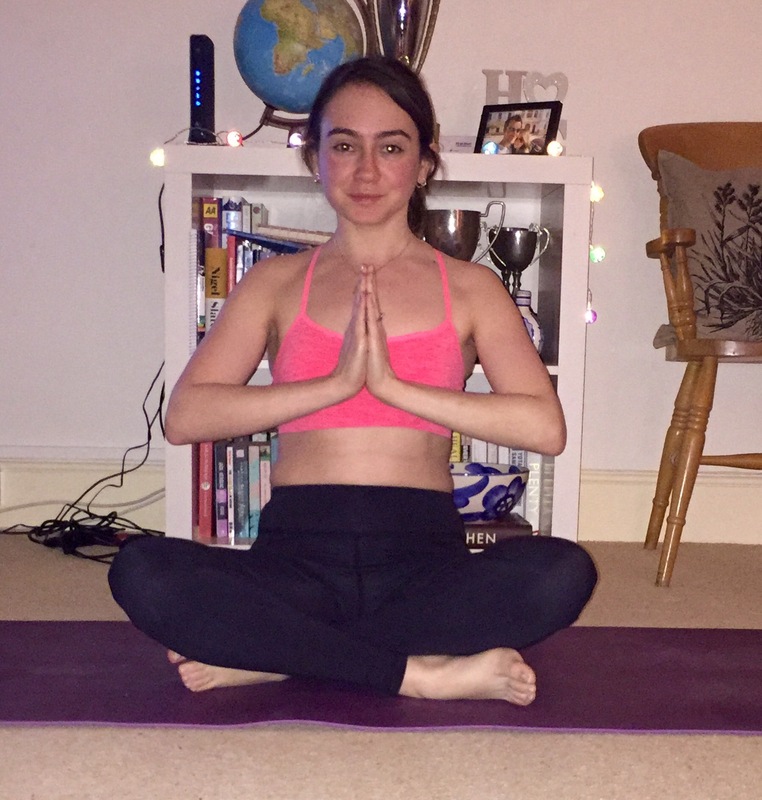 After seeing several comments posted on a blog I was reading one day about a year ago regarding the best online yoga classes, I clicked to her YouTube page and have never looked back since. For the first time in a long time, I felt as though I had found someone who spoke my language (and not just because she was speaking American english!). There is no real need for me to wax poetic on the impact her ‘Find What Feels Good’ mantra has had on myself and the community at large; the countless people who she has provided a safe, approachable place to practice speaks for itself. In a Western world where Consumerism has become the name of the yogic game, Adriene is the real deal. She encourages individualism and truly ‘being where you are’ in any given moment. She also walks her talk and lives the ‘Yoga for All’ motto, providing an enormously generous amount of free content, no matter how successful she has become. Perhaps it is in part because you practice in the privacy of your own home, but I have never once felt like I had to be this perfectly flexible yogini to practice or to actually be a yogini, and I can count on less than one hand the number of teachers who genuinely made me feel as such. Can you say #fangirl??? Although she does charge for some of her products (girl’s gotta eat! ), as previously mentioned, the majority of what she puts online is as free as the air you breathe (ok, not entirely true because you have to pay for internet access, but there isn’t much anyone can do about that!). One such series is the most recent addition to the FWFG repertoire: Yoga Camp – a 30 day mantra-led practice. Every day, for thirty days, there is a practice of varying length, with a mantra – or an intention, if you’re so inclined – discussed in the beginning of the session, meant to stay with you throughout the duration of the practice, and even carried into the rest of your day. She kicks off each video with a brief introduction to said intention, and encourages the viewer to fill in the rest of the sentence (for example, day 1 is “I accept” – and you can chose whatever feels right to you to complete that phrase, be it, “I accept where I am today” or “I accept that I binged on Netflix for 5 hours straight today” or anything else that feels right for you). As someone who loves a good mantra / intention / affirmative phrase, especially when combined with yoga, this whole series resonated with me in a big way. In the end, it took me about 45 days to finish the 30 videos, but I got so much out of it, both physically and spiritually, that I wanted to give it another go. That’s where this blog comes in handy. For those who would like to follow along, I am going to re-do the 30 day practice and write about my mantras and corresponding thoughts for each day. I will do my best to complete it in the given 30 days, but FWFG is all about honoring yourself, so it’s entirely possible it will take longer. Will my hamstrings stop hating on me and loosen up by the end of this? Stay tuned to find out! We all have our own journey in yoga and in life. This is mine, right here, right now. I’d love to hear about yours in the comments below. And if you’re a member of the FWFG Kula, please do say hi! Haven’t quite found what feels good on the yoga-selfie front, but I’m working on it!